Spring Riding Season is Here!!! Have Doc’s Motorcycle Parts meet all your Service needs this Season. 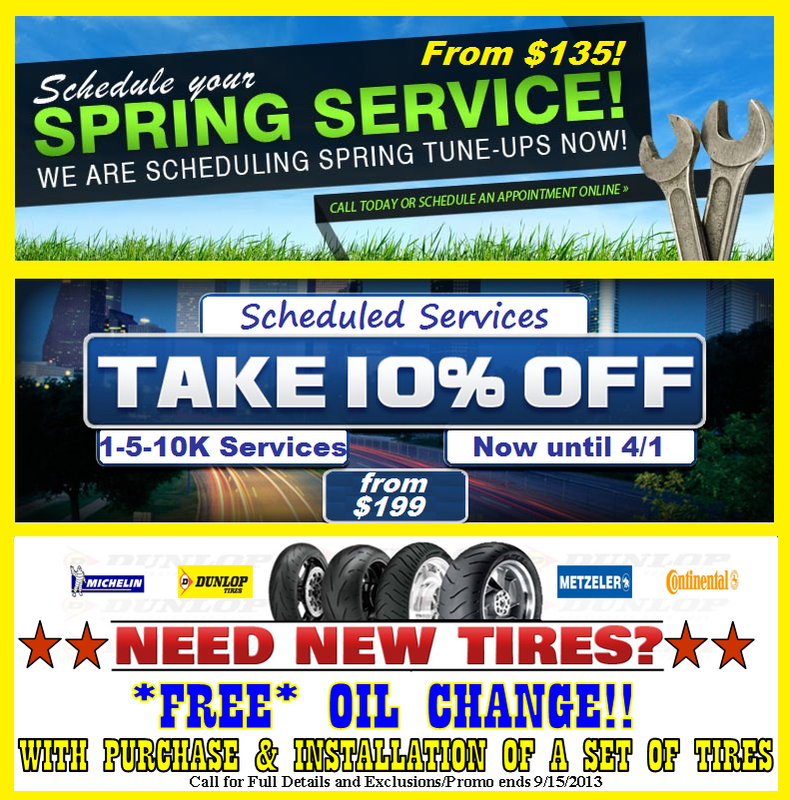 TUNE UPS, OIL CHANGES, TIRE INSTALLATIONS, SCHEDULED MAINTENANCES AND SO MUCH MORE!! QUALITY, PROFESSIONAL, AND FRIENDLY SERVICE. Here at Doc’s your not just another customer! !